"India's claim that one of its fighter pilots shot down a Pakistani F-16 fighter jet in an aerial battle between the two nuclear powers in February appears to be wrong", reads a report recently posted on the website of US-based Foreign Policy magazine. 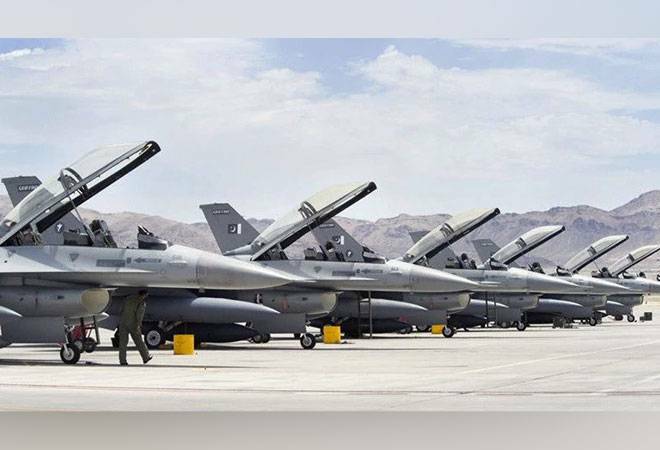 An American media report today suggested, while attributing American military sources, that the Pakistani F-16 fighter aircraft fleet was intact as America had counted Islamabad's F-16s and found none missing. Tension has been running high since a suicide auto bombing by Pakistan-based militants in Indian-controlled Kashmir killed at least 40 Indian paramilitary police on Feb 14, but the risk of conflict rose dramatically on Feb 27, when India launched an air strike on what it said was a militant training base. The two sightings were at places separated by at least 8-10 kilometers. In response to a query on U.S. media reports that questioned IAF version of Pakistan F-16 shot down by IAF MIG 21 Bison, IAF sources said that Wg Cdr Varthaman shot down Pakistan Air Force F-16 aircraft 7-8 km inside Pakistan Occupied Area in Sabzkot area. The findings directly contradict the account of Indian Air Force officials, which claimed shooting down a Pakistani F-16 in a recent dogfight. In addition to electronic signatures, radio transmissions of their ground forces intercepted by the Army also confirm that the PAF jet shot was an F-16, official sources said. Pakistan Air Force's attempted "reposte" on February 27 comprising a large force of Pakistan Air Force comprising F-16s, JF 17s and Mirage III/V aircraft were picked up by the IAF radars, the IAF said. After the February 27 dogfight, India had complained to the United States that Pakistan misused the F-16 and also showed as evidence a piece of an AMRAAM (advanced medium-range air-to-air missile) that can be only fired from a US-made F-16 which are with PAF. Abhinandan landed in Pakistan and was captured by Pakistan's armed forces. One of the many nicknames for the Soviet Union-made MiG-21 is silver swallow. "It is possible that in the heat of combat, Varthaman, flying a vintage MiG-21 Bison, got a lock on the Pakistani F-16, fired, and genuinely believed he scored a hit". The personnel were invited by Pakistan to count its F-16 planes after the incident. The second parachute was witnessed in General Area Tandar, which coincides with the last location of the missing F-16 aircraft. "Some of the aircraft were not immediately available for inspection due to the conflict, so it took United States personnel several weeks to account for all of the jets", USA defence official was quoted as saying in the report. According to Foreign Policy magazine, Pakistan had invited the USA to physically count the number of F16s and all fighter planes were accounted for.